Joined-Up Holidays is a registered Charity No. 1133297 with a Board of 4 Trustees and a company Limited by Guarantee. We are based on a small working farm on the west side of Woodland Village close to Hamsterley Forest and within the beautiful Teesdale countryside and an Area of Outstanding Natural Beauty. We are open, by appointment, for day visits from schools, groups or individuals and we can also offer work experience and volunteering opportunities in farm, equine and gardening activities. Our aim is to create a unique, environmentally friendly place where people with disabilities or special needs can have some fun, enjoy the countryside and take part in a range of interesting farm based activities. The BnB is currently closed due to some staff health issues please check back later and we will keep you updated about the situation. We offer eco-friendly, farmhouse Bed and Breakfast in our large comfortable barn conversion, with facilities suiting both the able bodied and guests with disabilities, with excellent wheelchair access in all areas. We can offer double and single rooms from £40 per room per night including breakfast and we welcome families, cyclists, star gazers, business travellers, artists, walkers, hikers, bikers, dog owners and many others. We are happy to accommodate assistance and other pets by prior arrangement and we have stabling and grazing available if you would like to bring your horse on holiday with you as Hamsterley Forest is a great place to ride and has miles of off-road tracks and trails. 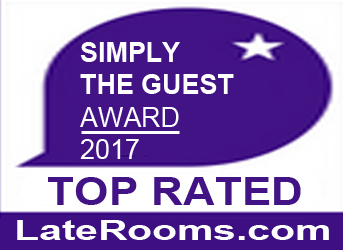 We are recommended on Trip Advisor, Trivago and Booking.com, we hold a Trip Advisor Green Energy Award and are Top Rated on laterooms.com for 2017. If you are a Star Gazer then Joined-Up Holidays could be the place for you as this area of Teesdale has a very low level of light pollution. The best seasons for viewing are early Spring and late Autumn, where clear skies offer the best views in the UK. See the majestic Milky Way and the millions of stars in the night sky without the light pollution experienced by city and town dwellers. Take a look at North Pennine Dark Skies for a wealth of information on local star gazing or the Explore Teesdale website.